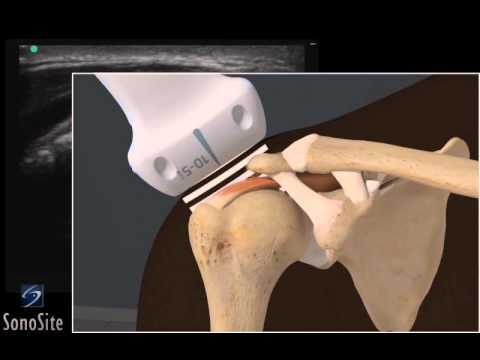 Ultrasound is a simple, safe and non-invasive method of evaluating the joints. The use of high resolution ultrasound imaging to assist with diagnosis of sports injuries and musculo-skeletal pathology has grown tremendously in the past few years. You may be required to lie on the bed next to an ultrasound machine or sit next to the ultrasound bed, depending on what joint is being examined. The doctor or ultrasound technician will apply a jelly to the skin surface to improve contact between the probe and the skin. The ultrasound probe will then be moved smoothly and painlessly over the skin surface. Depending on the clinical circumstances, an examination may last from 5 to 30 min.